Beautiful Mission Viejo is where almost 100,000 folks now call home, including myself. It is a well-planned community featuring a myriad of great amenities for its residents including a lake, three golf courses, numerous parks and sports fields, great shopping, excellent schools and so much more. It has also been rated one of the safest cities in the nation. However, I choose to call it home for its ideal location, surrounded by nature and open space, rolling hills, gorgeous skies and super people. It just plain feels good to live here. 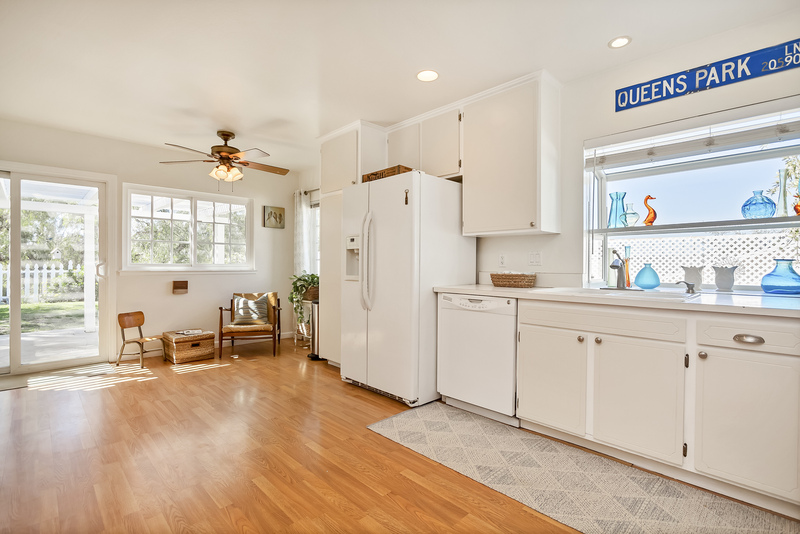 For my neighbors who call Mission Viejo home, I am sharing Mission Viejo home ideas and information, plenty of photos of homes, parks, amenities and more. Just about anything I find interesting and/or beautiful so I can share that good feeling. Almost all of the photos are those I took myself; like the one shown here. I have included plenty of links for those who wish to search for homes. 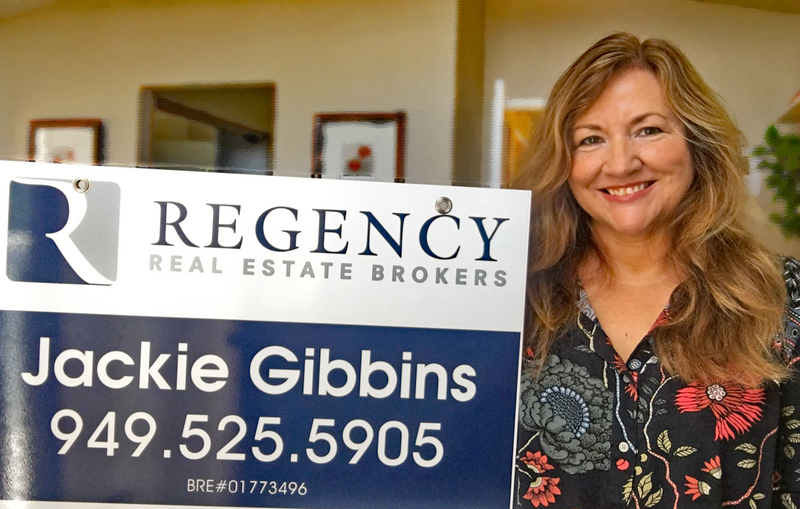 For those who wish to see past sales in their neighborhood, I have created several custom searches of recent sales and active listings in various neighborhoods and tracts so you can get an idea of market activity and home value. As you look at these homes for sale, you may see how folks in the neighborhood have updated the same model as yours. You can see if they removed a wall, added a room, remodeled the kitchen and check out their pool and spa and garden for inspiration outside. If you are like me, you may have moved here simply because you found a home you liked or maybe because it had decent freeway access or something else. However, once you move in and start looking for a place to shop or dine or a place for your kids to play, you will happily realize that not only will you find what you are looking for, but that a whole cornucopia of quality amenities are at your doorstep, literally. It may take you a long time to explore all the local shops or take advantage of all the facilities and parks, and maybe not ever check them all off your list. But have fun trying! 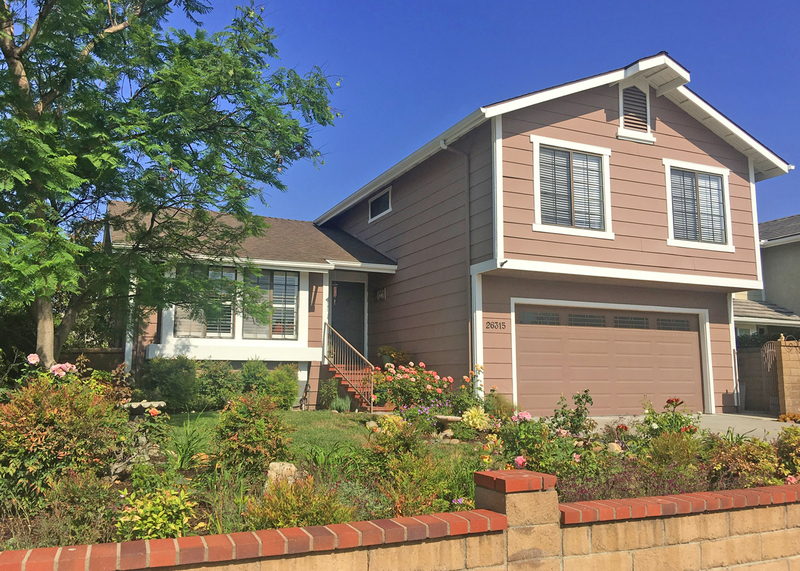 The city of Mission Viejo has so much to offer; just about wherever you are in the city, you can find a charming park, a place to get a cup of coffee or a soda, a friendly face, an inviting home and the sight of Saddleback as it reminds you that you are home; you are in Mission Viejo. 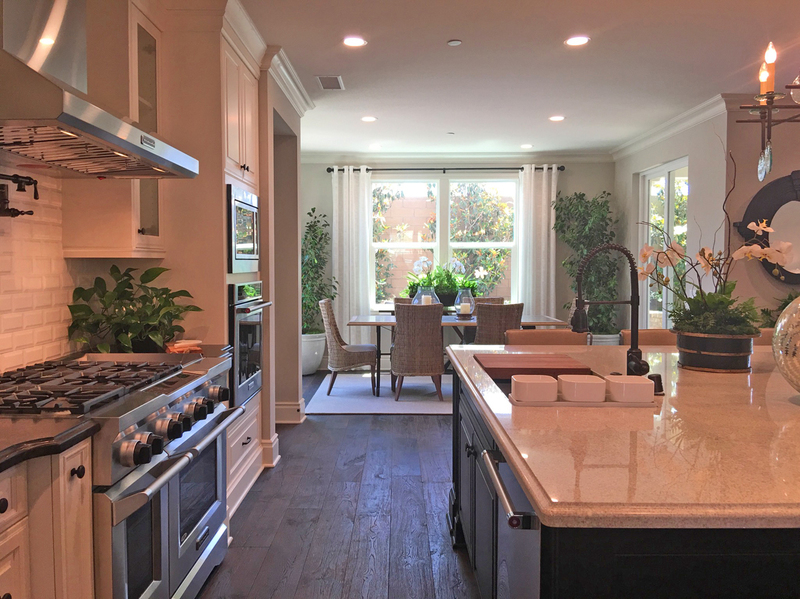 Whether you live in a spacious custom residence on the lake or in a condo at Casa Loma, having a garden to cultivate and nurture can add to the beauty of your Mission Viejo Home and your quality of life. I love to garden. The Rose garden pictured is mine as are some of the other plant close-ups. It seems I am always planting or moving something or trying a different plant; just plain having fun in the dirt. There are several local nurseries I like to visit to indulge my passion. Green Thumb; an extensive variety of plants, indoor and out, outdoor decor, some garden gift items, some misc home-related merchandise like mailboxes, signs, sprinklers, hoses. Lots of soil, amendment, rock and mulch options labeled very well. Pots and fountains. Decent prices and good merchandise. Plant Depot ; this is probably my favorite place to go since this place is huge, well laid out with an excellent area for home and garden gifts and do-dads. Excellent varieties, exceptional display and choice of succulents. Knowledgeable and friendly people. Priced a little higher but obviously I think it is worth it. Armstrong Garden Center; there are two I go to. One on Crown Valley in Laguna Niguel and the other in San Juan on Del Obispo. Laguna Niguel is smaller and choice is not as extensive, but has the basics. I like the one in San Juan because of variety, the staff and the garden-related supplies and gifts offered. Rogers Gardens; if you want something special, go to Rogers Gardens. If you love gardening, go to Rogers gardens. You need to go if you love gardening just to experience their displays and varieties. The Holidays are always special there. Pricey but you will find some wonderful plants and merchandise here. Staff is exceptional. Home Depot; they have a rotating variety of plants as well as some staples for So Cal gardens they always offer. good prices. Most of the plants I have purchased there have done well. Hopefully you will be inspired by some of the work other Mission Viejo residents have completed. Sunburst Aeonium are amazing succulents for the garden. Colorful and low maintenance front yard landscaping. Colorful front slope and beautiful hardscape. I love living in Mission Viejo, mostly because of the location in Saddleback Valley where we are surrounded by so much natural beauty. The City Founders and residents built upon that and created wonderful streetscapes, parks and open space to enhance and complement the natural beauty. These native wonders include Oso Creek and the trail residents have created to walk alongside it; omnipresent Saddleback along with the Santa Ana Mountain Range; the gently rolling foothills all around us that are covered with mustard flowers in the spring that create habitat for our native wildlife and the birds and animals themselves that love living here, too. The lake and the incredible parks and open space tend to top the list of man made wonders of the city. I have also found that the folks who live here are very good at creating gorgeous homes and gardens. The people of Mission Viejo are super, too. I get to meet and talk to a lot of folks who live here, and I usually get a smile or a wave and a friendly face, even when just passing on the street or in the park. Mission Viejo is a decent size city in Orange County with a population of around 100,000. Fortunately, it is well-planned so that retail and commercial centers are strategically located with easy freeway access and near major cross streets for good visibility. Some shops come and go, but others have been around a long time like Moore’s Sewing Center on Marguerite. I have been going to Denault’s True Value Hardware since it opened at the corner of Oso and Marguerite. My son worked there for years. Custom Comfort has been around for decades, too, and has grown into a great success. However, I purchased my new mattress at Orange County Mattress on Alicia; sorry Custom Comfort! I enjoy visiting all the Starbucks, my favorite is the one off Oso and the 5 Freeway. I and my family have been purchasing new tires at the America’s Tire Store on Marguerite for years. Paradise Donuts and Deli at La Paz and Muirlands is a hidden gem for yummy donuts and good service. For more yummy stuff, French’s in the Gateway Center is fabulous. I just painted my home and bought the paint at Vista Paint at the corner of Muirlands and Alicia. In that same Vista Paint Plaza, there used to be a bridal store in the 1980’s. I purchased a veil there. I hired Stud Construction to perform a kitchen remodel. Their office is on Madero in Mission Viejo. I have been going to Bagels and Brew off Alicia and Olympiad since they opened. The owner is wonderful, and I am happy her business is thriving. Misson Viejo Florist has always provided me with good service as has Mission Viejo Rentals off Jeronimo and Los Alisos. My son Likes ChocObean and Rubino’s Pizza off Marguerite and Oso Parkway. Royal Donuts and Burgers off Jeronimo and Marguerite has been around forever, and I do like their donuts! Maybe I will see you around! Art comes in many forms; water features, sculptures, murals and more. Art can bring a community together, make you think, celebrate people, events or a culture or heritage, or simply be a from of expressing beauty and emotion. If you look close, you can find wonderful examples of art throughout the city. I did. The cool thing was that the art featured here was created by its residents making it even more special.